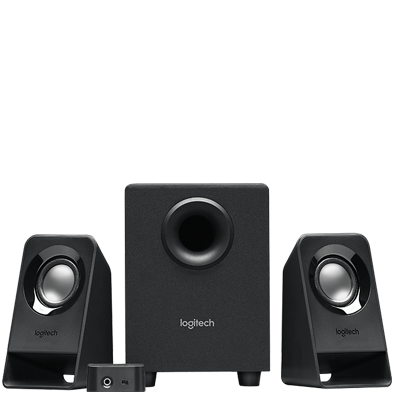 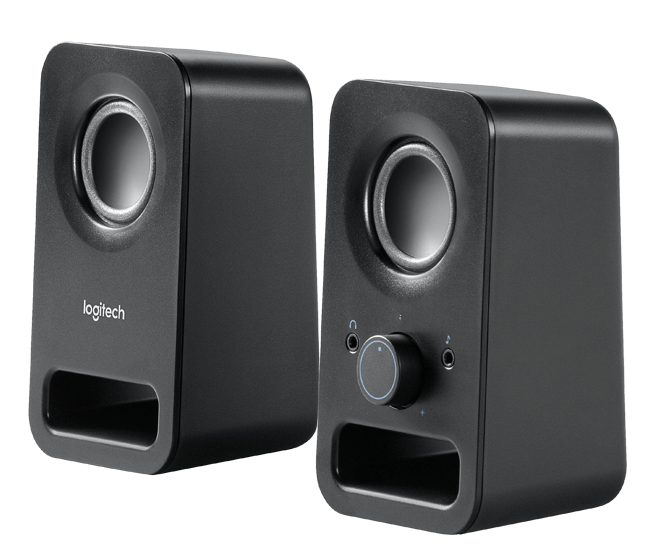 These stereo speakers provide clear sound and the compact design is great for small spaces. 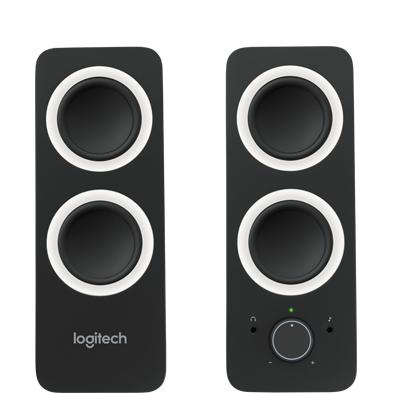 Easily access all controls, including the headphone jack, on the right speaker. 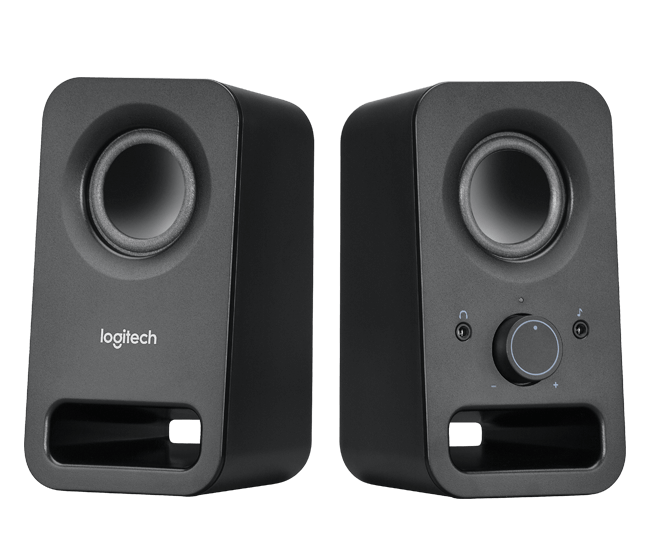 6 Watts Peak/3 Watts RMS power delivers clear stereo sound from the dual 2” driver design. 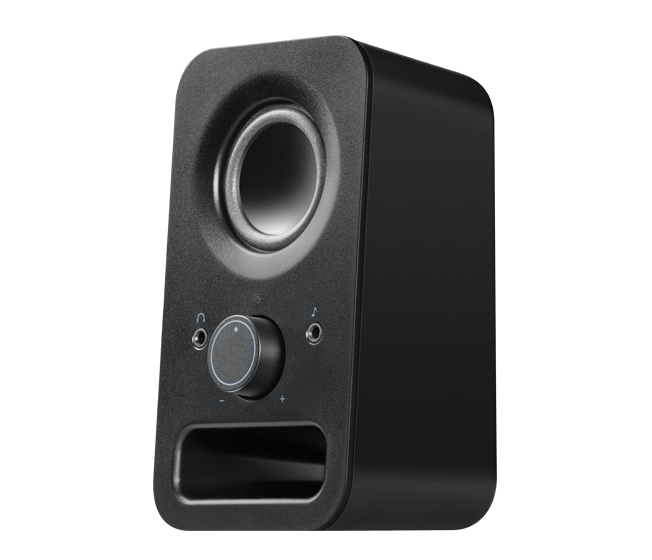 Simply plug your headphones into the easily accessible jack located on the front of the right speaker.